Airdrieonians – Hutton, Robertson [Stewart 74], MacDonald, Page, Creighton [b90], Gallagher. Conroy, Millar [Wilkie 66], Duffy [McIntosh 74], Carrick and Vitoria. Subs not used – Russell, McKenzie, Cairns and Edwards. Stenhousemuir – Smith , Donaldson, Neill [b85], Ferry, Gibbons [Paton 65][b76], McGuigan [McMenamin 90], O’Hara, Cook, Duthie [Reid 83], Dickson [b80] and McBrearty. Subs not used – Tena, Vaughan, McMinn and Ross. 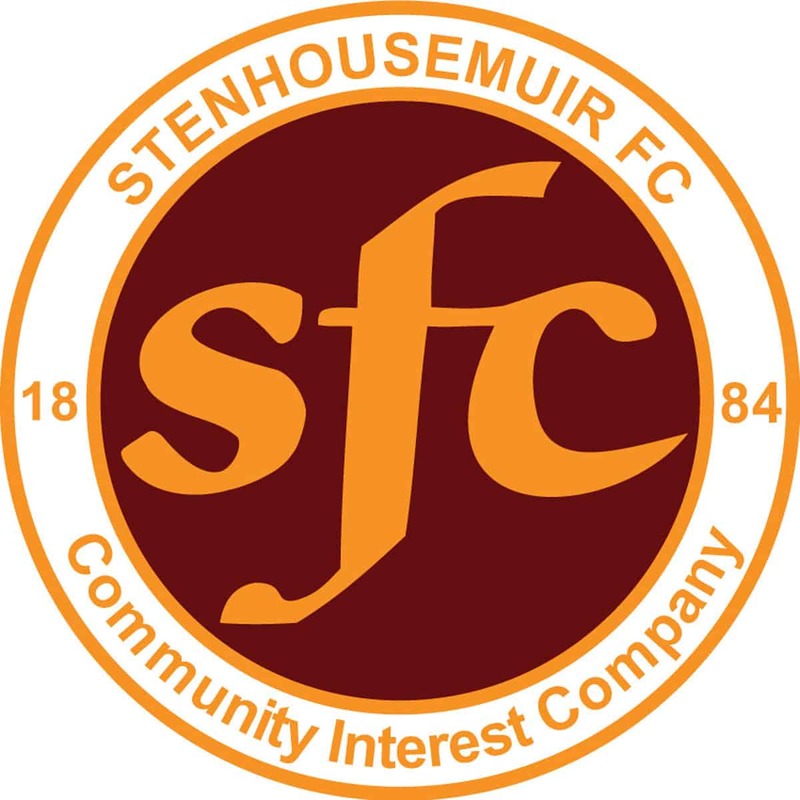 Stenhousemuir went into this game without having scored a goal away from home this season but the Excelsior has in the main been a happy hunting ground in recent seasons so there was hope that the latter form would continue. Connor McBrearty was drafted in for his first game on loan from St.Mirren after being an unused substitute on a number of occasions and the 18 year old fitted into the side well and apart from a mistimed early tackle he rarely made a mistake for the rest of the game. Airdrie had changed managers in the lead up to the game and this was Ian Murray’s first game in charge though he had watched their previous fixture. The Warriors were the first team to threaten with Kevin O’Hara and Conner Duthie linking up well. Despite some good creative play the Airdrie keeper wasn’t called into action to make a save in the early stages. It was the same at the other end where Graeme Smith was first required in the 37th minute to push out a Kieran MacDonald shot. He was injured in the process and needed treatment but had recovered sufficiently to tip a Sean Creighton header from the resultant corner over the bar. It was a case of so close but so far at the other end with attempts being blocked but when the half time whistle went the Airdrie supporters made their feelings known though much of it was towards the referee for perceived injustices in their eyes. The second period saw Hutton make a comfortable save from an O’Hara header in the 51st minute. The Warriors suffered a blow in the 62nd minute of the game when Kieran Gibbons was struck on the ear by a boot. His head had been down but the foot had been high and he was helped gingerly off the pitch and subsequently required stitches both in and outside the ear. The icy weather was blasting in and was making football difficult by this stage but Hutton was able to save a Duthie shot in the gloom. Shortly after this another long range effort this time by Alan Cook caused problems as Hutton spilled the initial shot but was able to gather before any of the Stenhousemuir players could pounce. There was a major scare for the away support when Kyle Wilkie headed a Scott Stewart cross home but as the home fans cheered their celebrations were abruptly stopped as he had been flagged offside. Stenhousemuir were to make the most of their escape and they were to take the lead in the 86th minute when Mark McGuigan steered the ball home. The striker almost doubled the lead a couple of minutes later but Hutton was able to tip his drilled effort over. The Warriors continued to be on top in the latter stages and when the final whistle blew they were able to celebrate not only their first win away from home but indeed their first goal, first point and first shut-out as well.